The Laboratory of Health and Human Biology provides a research workspace for anthropologists interested in the interactions between the environment and biological variation. We focus on examining how people maintain health and avoid disease in stressful environments and how human biology is shaped by diverse social, cultural, and ecological factors. Central lines of research are diet, nutrition, growth, and the anthropology of infectious disease. The lab encourages research that merges cultural, ecological, and evolutionary approaches to investigate variation in health in both the US and international locations. Current equipment supports research on infant feeding and child growth, ecological immunity, and body composition. We aim to provide opportunities for graduate and advanced undergraduate students to receive training and conduct research in biological and medical anthropology, including coursework in Human Adaptation (Anth 4790/6790), Ecology and Evolution of Human Disease (4590/6590), and Medical Anthropology (4540/6540) in addition to graduate seminars. Students have access to office space adjoining the lab, computers, regular lab meetings, and a collaborative and collegial laboratory environment. The wet lab space includes with a -40 C freezer that is suitable for long-term storage of biological samples including blood, blood-spots, and saliva. Additionally, the lab has a BioTek ELx808 Absorbance Microplate Reader for immunoassay analysis. 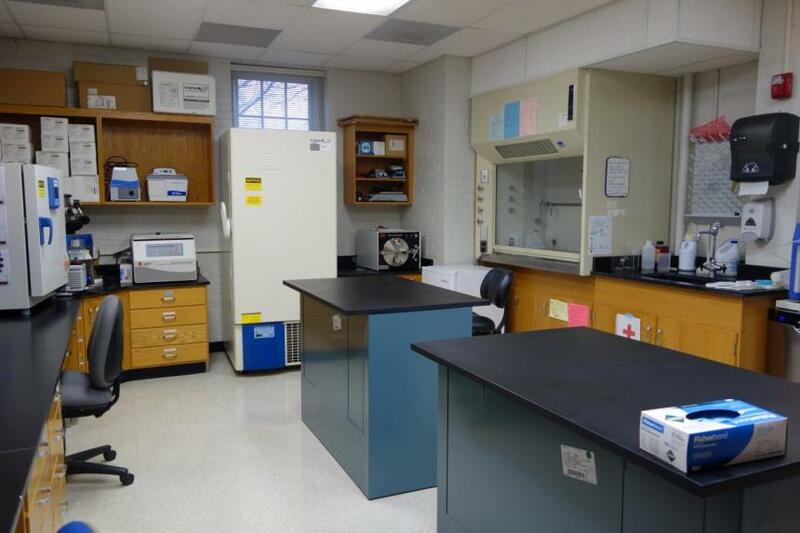 Other resources available in the lab space includes a centrifuge, microplate washer, fume hood, and several light microscopes. Analysis of body composition is conducted with a Tanita Body Composition Analyzer, several Actical accelerometers, and several sets of anthropometric equipment that can be taken into field settings.Activity pattern analysis software is also available in the lab for data analysis.